Added styling & formatting for Annotations. Allows users to edit the Outline (weight, dash type, arrow type), Fill (color, transparency), and Font (color, type, style) of annotations in the annotation right-click menu. Improved the Explorer pane with paging support for the Explorer Grid so large libraries do not load into the browser all at once. Added a drop down menu to the Toolbar to navigate pages of a document. Vizit SP icons for previewer and viewer now work in SharePoint library views that are grouped. Added a button to the toolbar to refresh the current document and property editor. Improved the Property Editor to better view, validate, save all field types correctly. Improved the Property Editor so users can change a document’s content type in the property editor. Improved the Property Editor to show field descriptions in pop-up tooltip on hover-over the field label. Property Editor is now hidden by default. This is a configurable option. Added a feature to show or hide the thumbnails in the viewer. Thumbnails are now hidden by default. This is a configurable option. Thumbnails now have page numbers next to each one. Annotation tree was reworked to be more efficient. It only updates the annotations that are on the page that was modified. Annotation tree now only shows pages that have annotations. Annotation properties can be disabled through a configuration file. Fixed an issue where annotations from various pages would appear on a page after an annotation's properties were modified. Fixed a display issue in the Stamp Annotation pull down menu. Changed the pull down's behavior from a split button to a menu button. “Sign Here”, “Witness”, and “Initial Here” annotation types now maintain their aspect ratio when drawn on the document. Added the option to print documents with or without annotations visible on the document. Enhanced the email feature to send a link to the current page of the document instead of just the first page. 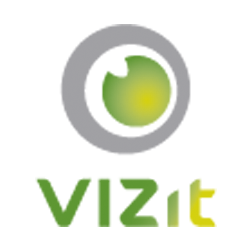 Fixed an issue where the Vizit SP icons would not render in Picture Libraries. The tooltip for the "Threshold" button was changed from "Binarize" to "Convert to B&W". The icon was also updated. VizitSP goes to the selected page when it is double clicked in Previewer and that document is already open in the Viewer. Fixed an issue where multiple tabs could be opened for a single document.